According to Pakistan Blind Cricket Council (PBCC) chairman Syed Sultan Shah, 25 players will be finalized for the said series which will be staged from Jan 26 to Feb 4. The second phase of the national women blind cricketers training camp is in progress at Lahore’s Kinnaird College for Women University and will continue till Oct 1, Sultan said. The Nepalese team was to visit Pakistan in 2014 also but the plan could not materialize as the PBCC did not get the required three million rupees to grant from the Pakistan Cricket Board (PCB) to host that series. Pakistan Telecommunications Company Limited (PTCL) is sponsoring the Nepal-Pakistan Blind Women’s Cricket Series, which is being played in Islamabad, Rawalpindi and Lahore. The matches will be contested between the women’s cricket teams of Nepal and Pakistan. 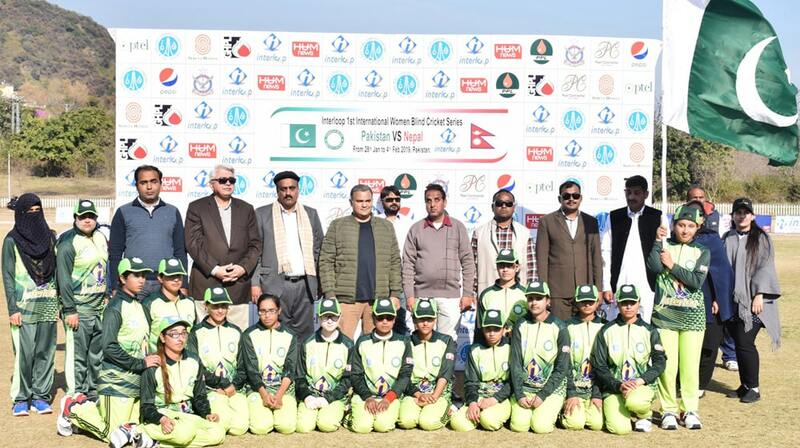 I am very proud to be part of the 4th T20 match between Nepal and Pakistan Women’s Cricket teams. This is our small contribution to support gender diversity and inclusion, whereby allowing people with extraordinary abilities and passion to be part of the communities. We believe that this is a positive step giving the message of hope so that we may build a healthy and inclusive society.